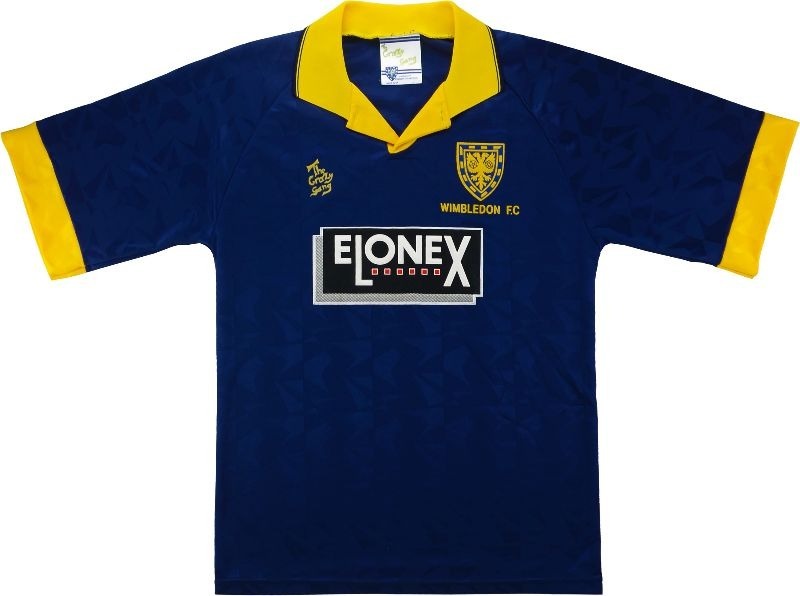 A little kit-based inspiration before Football Shirt Friday. On Friday April 27th, men, women and children across the UK are encouraged to don their favourite football shirt in support for the Bobby Moore Fund for Cancer Research UK. Whether at work, school or simply out and about in your local community, Football Shirt Friday is all about raising funds to go towards life-saving research into bowel cancer. Inspired by England legend Bobby Moore and his iconic exchange of shirts with Pele at the 1970 World Cup, this is your chance to do your bit for an important cause with a £5 donation to the Bobby Moore Fund. 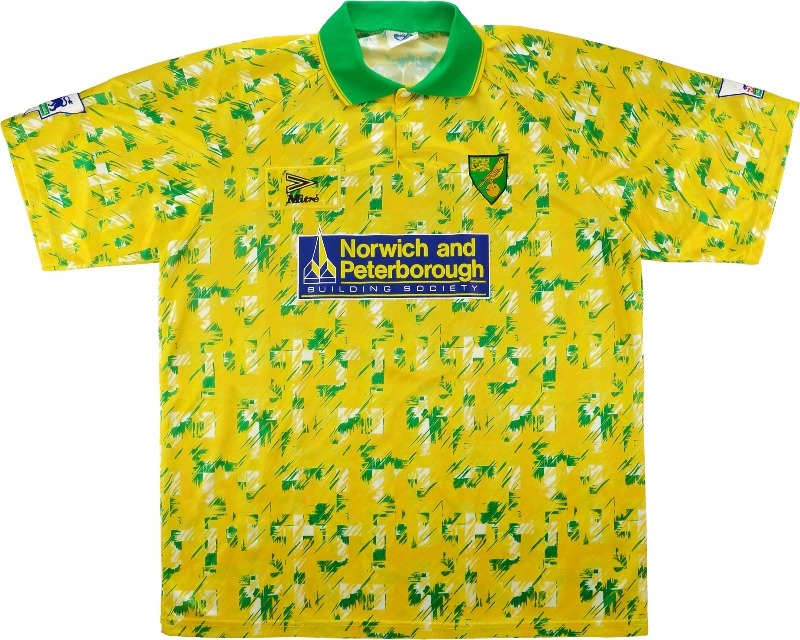 You’ll never see another pattern like this again or a goalkeeper like Bryan Gunn for that matter. Brings back memories of Juan Sebastian Veron and Ruud Van Nistelrooy. 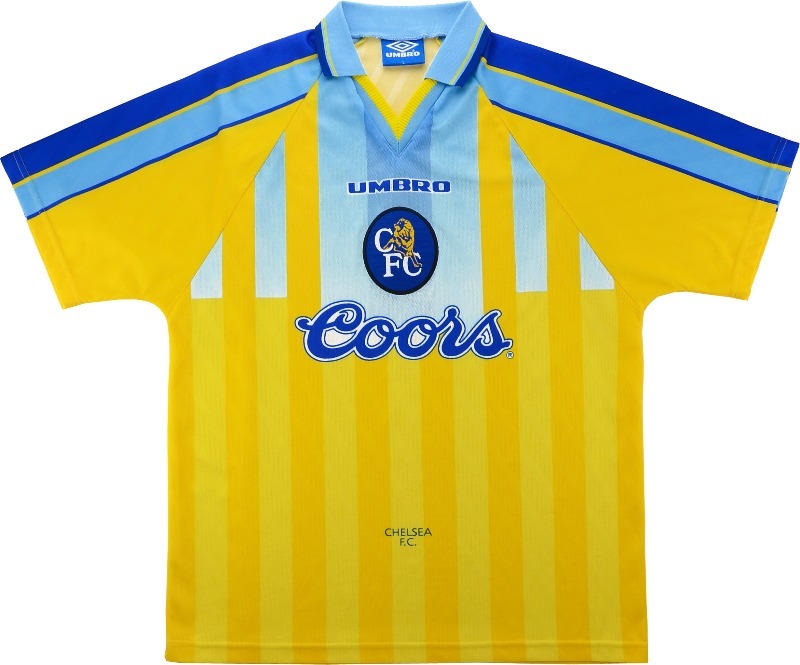 From the pre-Abramovich era when the Chelsea team featured Gianfranco Zola and Eddie Newton. 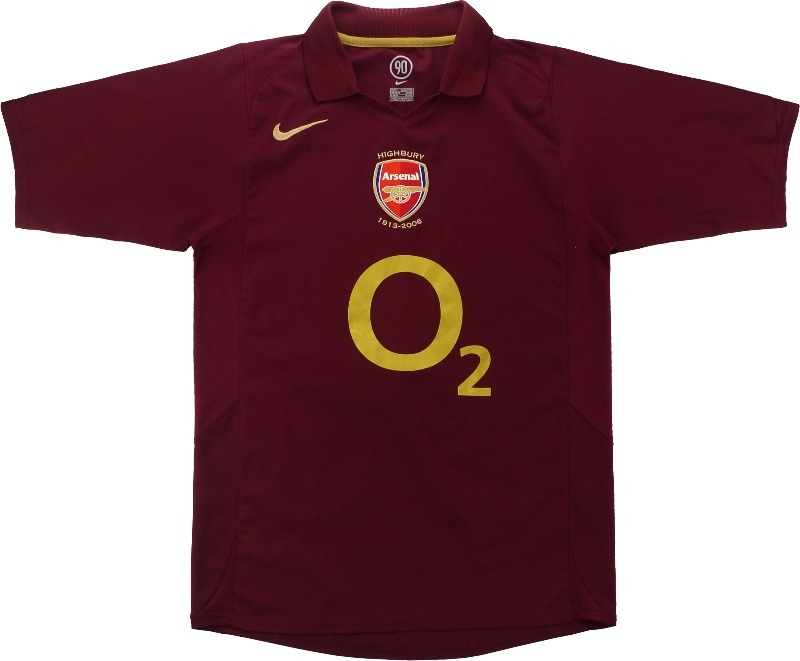 Arsenal’s kit from their last season at Highbury when Dennis Bergkamp and Thierry Henry reigned. Have you ever stayed in a Thistle Hotel? 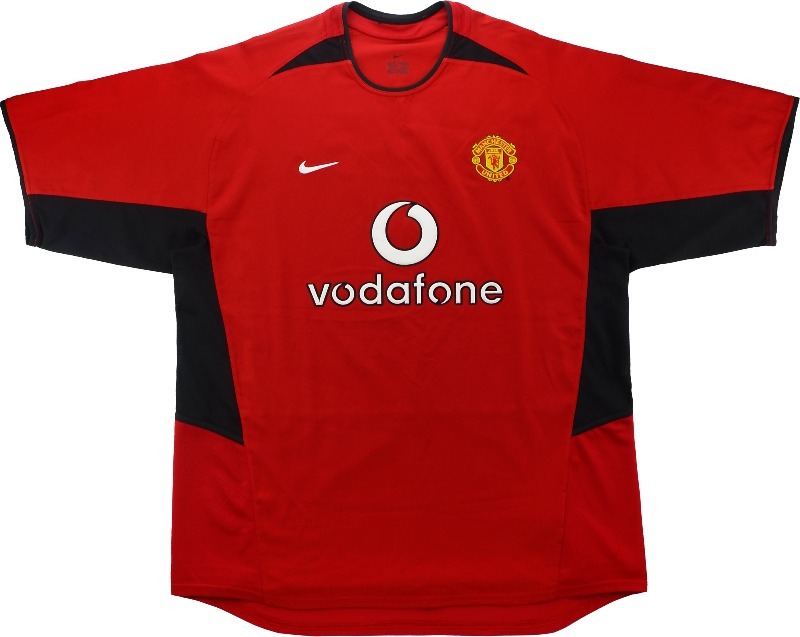 Lucas Radebe must have! 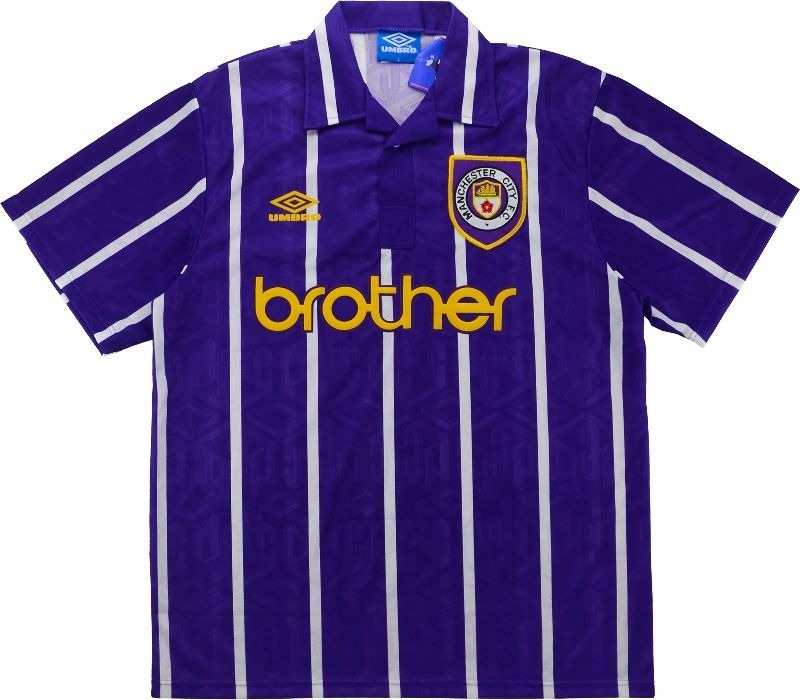 A forgotten gem of an away kit during the days of Georgi Kinkladze. We still don’t know what Sanderson do. Neither did Peter Atherton. 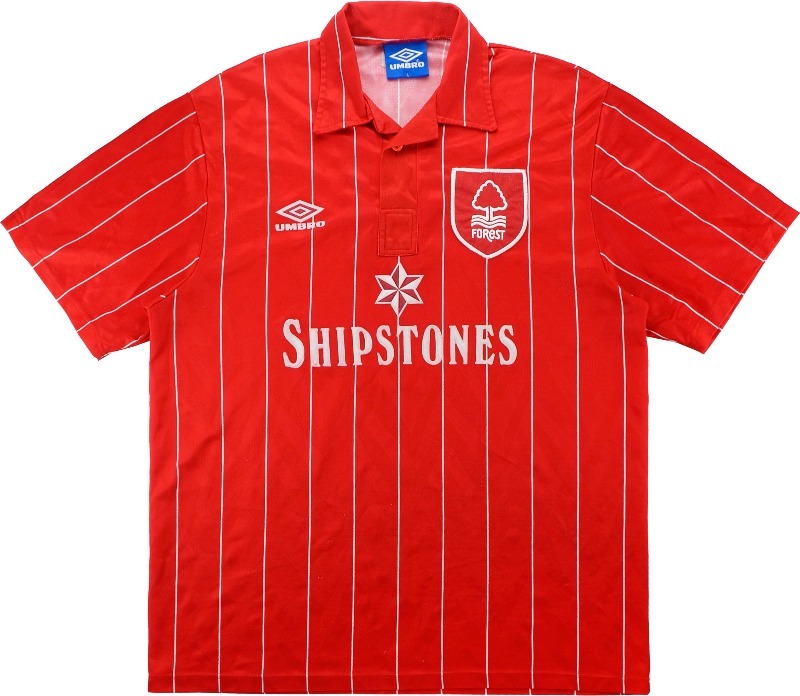 That collar was something else but Les Ferdinand made it work. 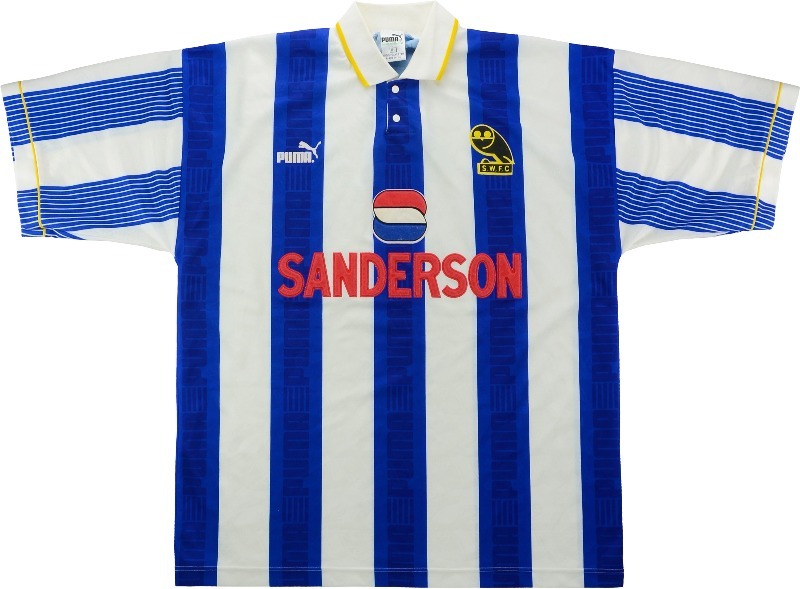 The perfect meeting of team and sponsor during the Paolo Di Canio era. 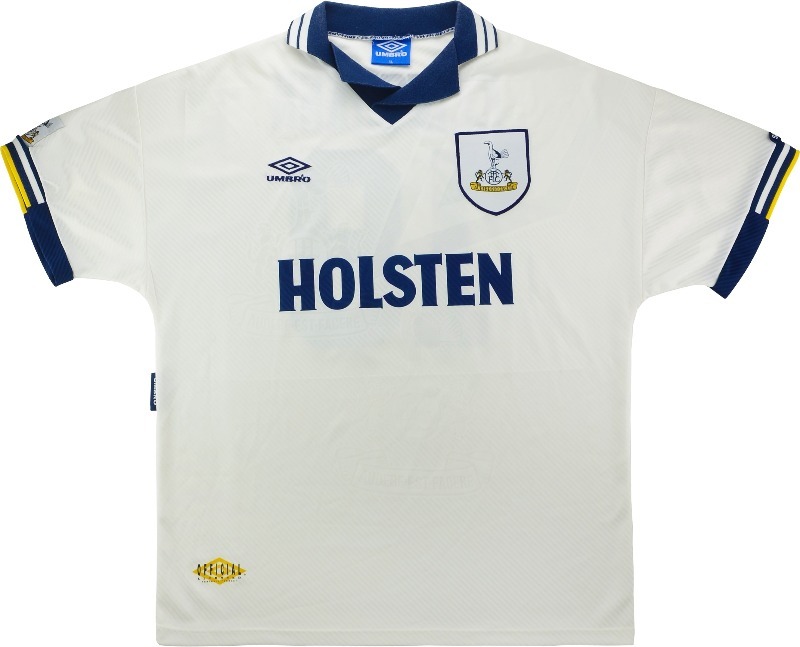 Jurgen Klinsmann made this shirt iconic. 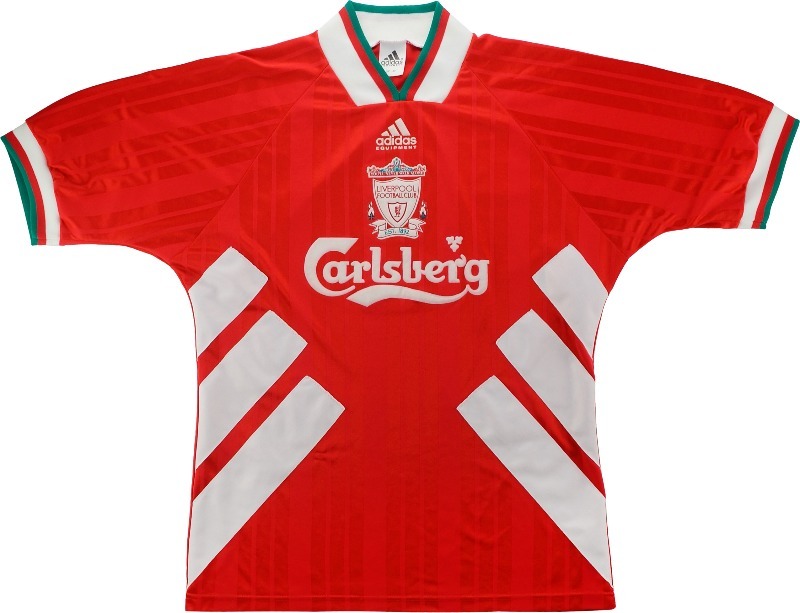 This Liverpool kit nearly makes up for those dodgy cream suits. 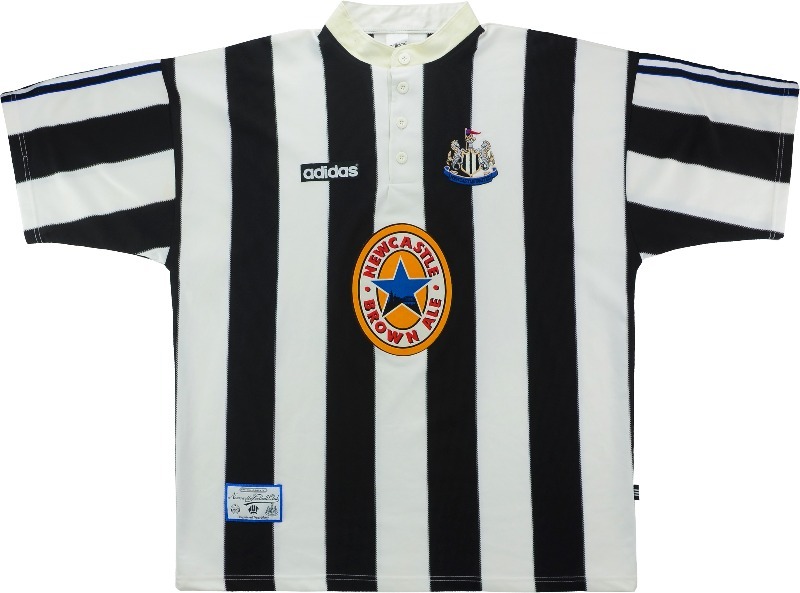 Alan Shearer probably put away a few McEwan’s Lagers back in the day. 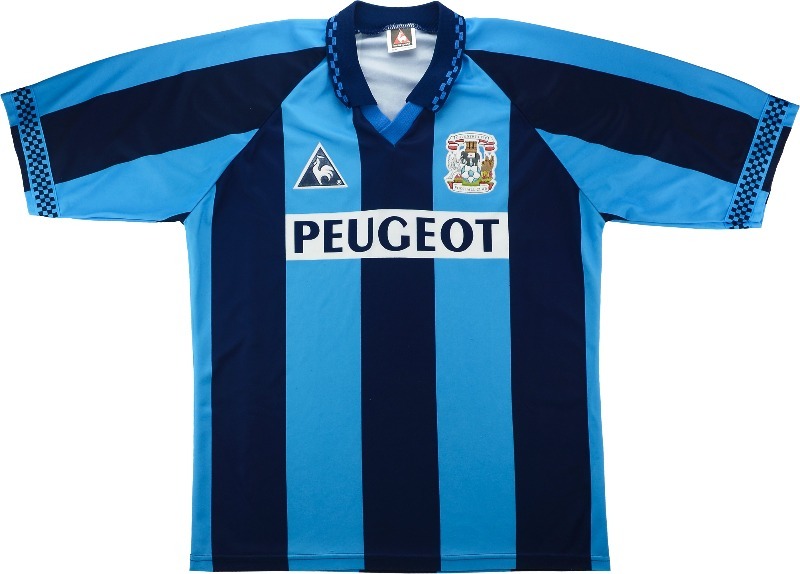 Peter Ndlovu, Dion Dublin and Darren Huckerby all featured in this classic Cov garb. 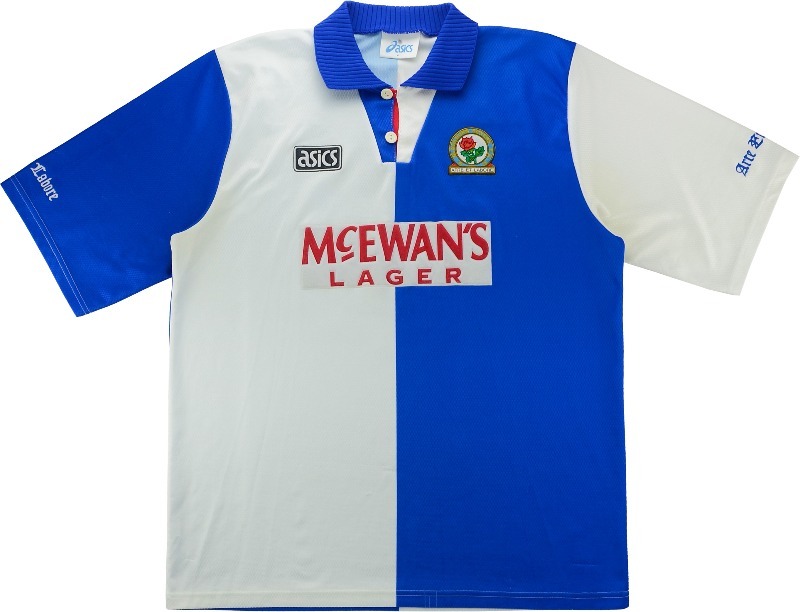 A retro classic from the days of Roy Keane and ‘Psycho’ Stuart Pearce. Was that the right way round? 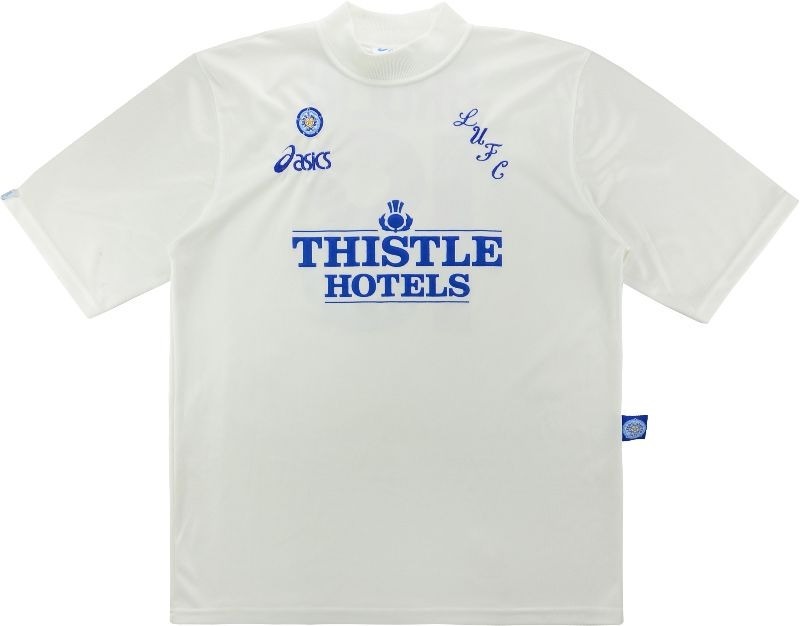 An absolute classic popularised by Vinnie Jones: the hardest footballer in the world. Join the conversation on Twitter using @BobbyMooreFund #FootballShirtFriday or on the Facebook page at OfficialBobbyMooreFund. Visit footballshirtfriday.org for more information. 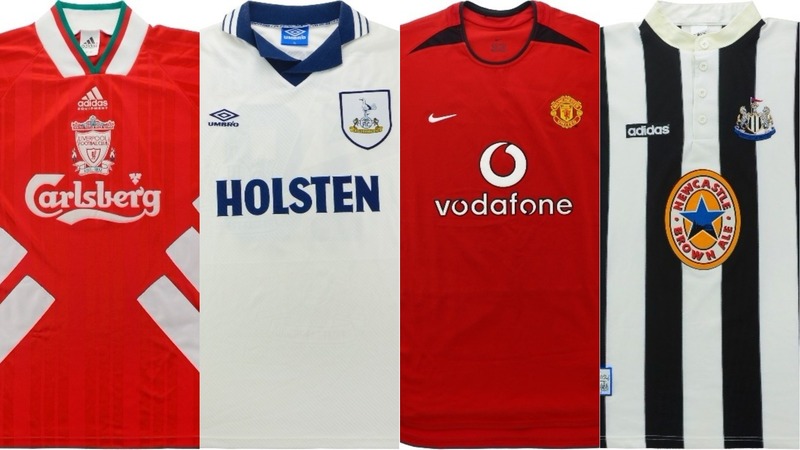 They are also be holding an exhibition called ‘The Fabric of Football’, honouring the top 500 classic football shirts at Newspeak House, in Shoreditch, London from the 26th – 29th April. For more information on bowel cancer, click here. 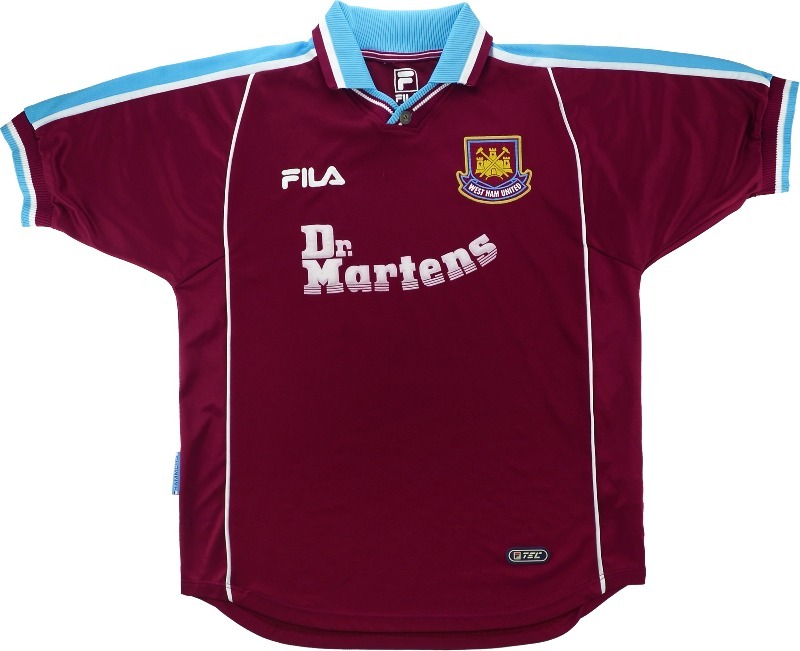 What Ever Happened To West Ham Wild Man Marco Boogers?